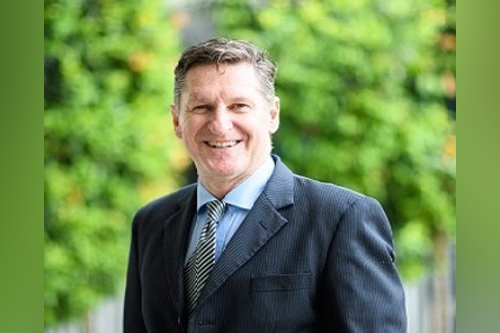 In August, Dr Eddie Groughan took on the role of principal at the Australian International School (AIS) in Singapore, the only school on the island nation that offers an Australian and IB curriculum for students aged 18 months –18 years. Having been a principal at four well-regarded schools across Australia and Asia, it’s fair to say that Dr Groughan is no stranger to the world of international education. Below, The Educator Asia speaks to Dr Groughan about his experience heading one of the Asia Pacific region’s most prestigious schools, and what it has in store for its students in 2018. TE: I understand that you have been a principal at four well-regarded schools across Australia and Asia. What inspired you to join the Australian International School in Singapore? EG: One of the most significant attractions was the quality of the senior staff. I had worked with the in-coming Head of School, Andre Casson, previously, as well as the Head of the Early Learning Village, Adam Patterson, and his Deputy, Rachael Symes. Given the qualities and professionalism of such people, I knew the school would be exceptionally well-organised. Additionally, being a part of a global family of schools, through Cognita, meant my own learning would be enhanced through drawing experience from colleagues all over the world. Finally, I had only heard wonderful things on the students and the sense of community within the School, and bringing two of my children to such a setting has confirmed those affirmations. TE: Can you tell us about some of the key differences between Australia and Asia with regards to how school management/educational leadership is conducted? EG: There are a number of key differences between the environment in an International School and schools in Australia. The International Schools have a diverse, global citizenship and there is movement of students to and from the school due to the, often, transient nature of expat life. International schools also cater to a wider age range of students – for example, AIS offers education for children aged 18 months to 18 years. It is, therefore, important for International schools to be agile so they respond to changing circumstances and differing needs of students. Linked to the internationalism is ensuring the welcoming overtures of the school are finely tuned – the support of parent associations and the community is key to this need. TE: Is there anything particularly exciting and innovative that the executive team at AIS is doing to improve teaching and learning outcomes in the year ahead? EG: The academic program continues to be refined to support each and every student, whether in our Early Learning Village or our Year 12s. Moreover, the balanced education of students continues to be a focus, with programs such as our new outdoor leadership program designed to instill skills such as teamwork, resilience and environmental awareness. More generally, our expanding pastoral program, with a defined emotional well-being emphasis, demonstrates our intention to ensure an AIS student has the capabilities to respond to challenges and thrive in an ever-changing world.